Pay only P 8,749 a Month for 12 months. Or pay only P 17,498 a Month for 6 months. 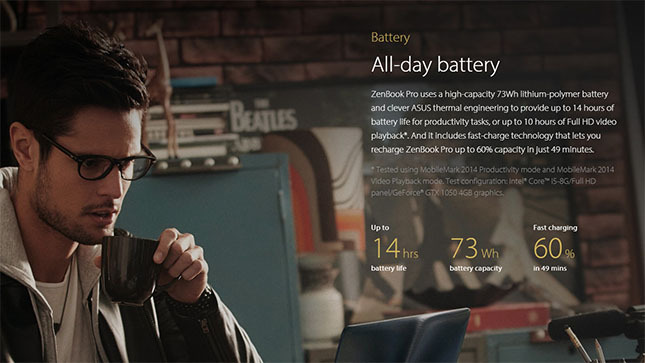 ZenBook Pro is designed to entice you with pure, unadulterated power. Power to create your dreams. Power to fuel your imagination. Power to do whatever you want to do, anywhere and everywhere. 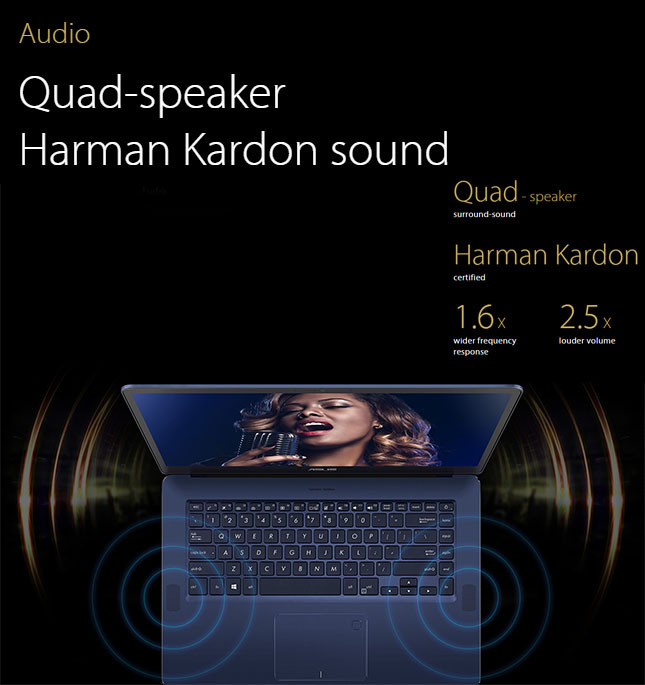 Every part of ZenBook Pro has been crafted to make it faster, more powerful and more amazing than the previous generation — from its latest 7th Generation Intel® Core™ i7 processor to its gaming-grade NVIDIA® GeForce® GTX 1050 Ti graphics and quad-speaker Harman Kardon surround-sound audio. 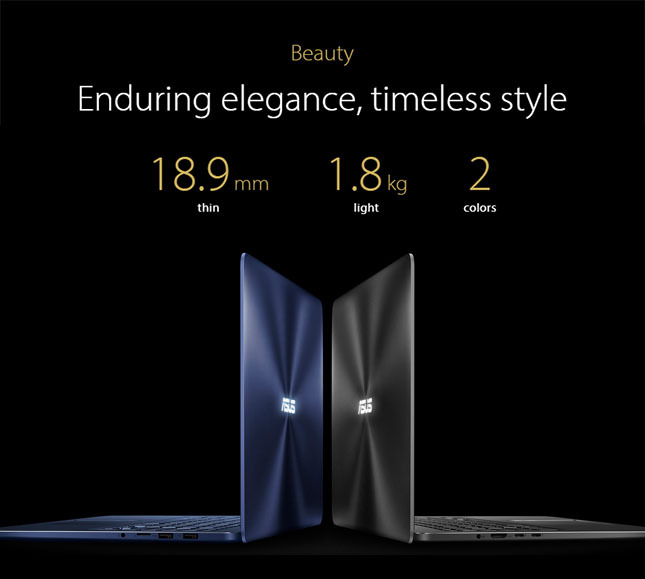 And every detail of its finish makes it even more beautiful than ever before — including its precision-engineered solid-aluminum unibody and stunning 4K UHD NanoEdge display. 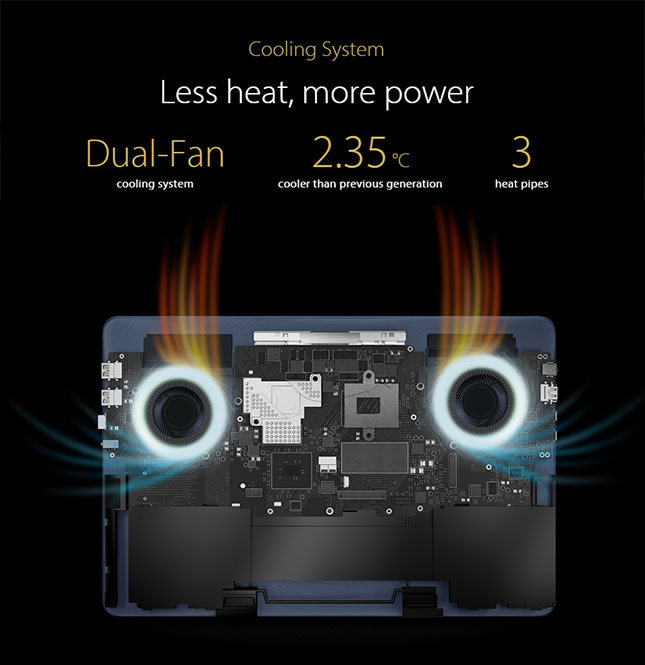 The new ZenBook Pro is not just better: it’s the best. 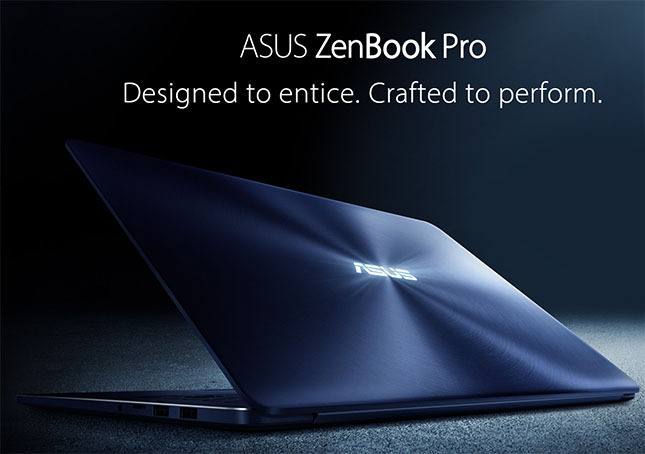 The ZenBook Pro features up to a 7th Generation Intel® Core™ i7 quad-core processor with 16GB of DDR4 RAM and gaming-grade NVIDIA® GeForce® GTX 1050 Ti graphics. 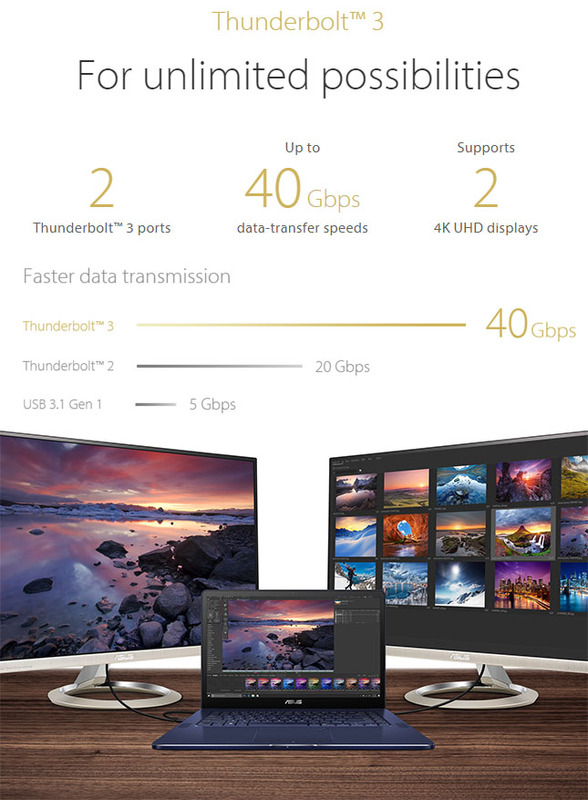 Its astonishing processing power shames most desktops, and its ultra-fast up to 1TB PCIe® x4 SSD storage delivers 3000MB/s read speeds for superb responsiveness. 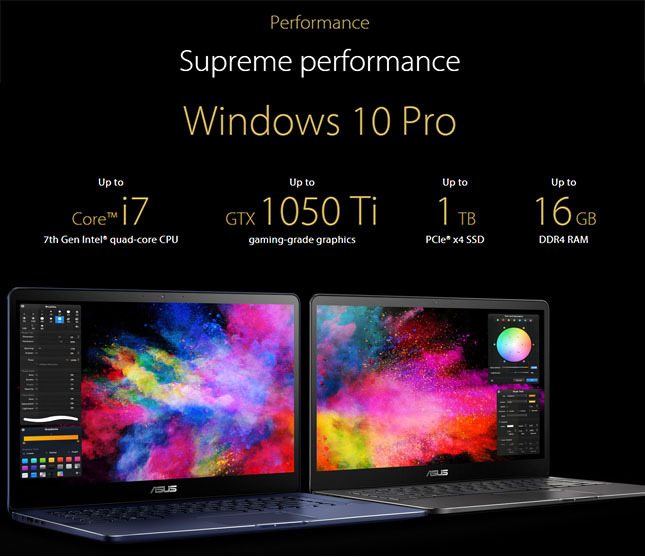 ZenBook Pro uses up to the latest NVIDIA® GeForce® GTX 1050 Ti gaming-grade graphics with up to 4GB of GDDR5 video memory to deliver performance that’s nearly twice as fast as a GeForce GTX 960M GPU. 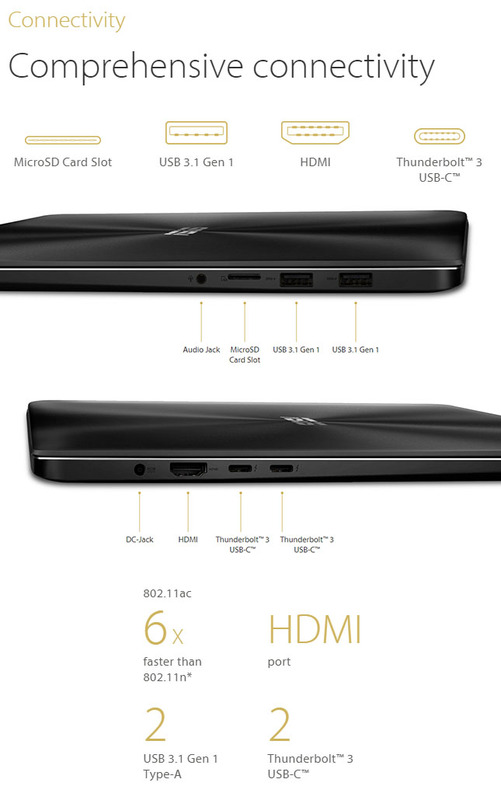 This DirectX® 12-compatible graphics monster delivers all the horsepower you need for even the most graphics-intensive tasks, such as 3D rendering, 4K UHD video playback or ultra-detailed 4K UHD gaming. 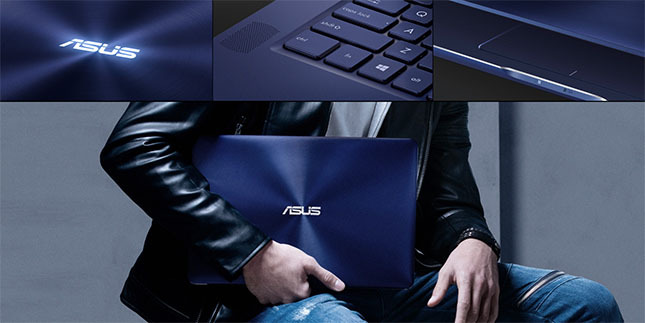 Whether you’re a designer, a developer or a gamer, you’ll get the best possible graphics performance with ZenBook Pro. 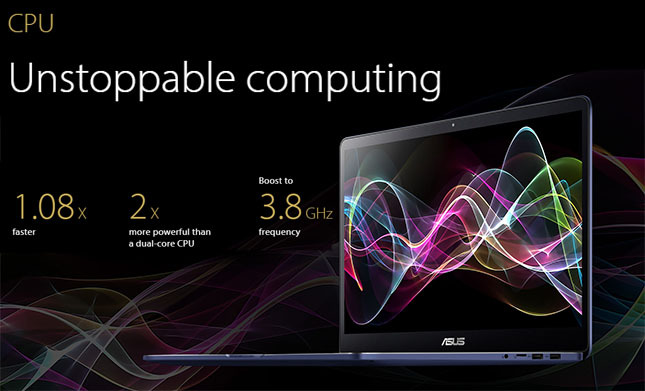 The 15.6-inch NanoEdge multi-touch display of the ZenBook Pro is truly remarkable. Along with 4K UHD resolution and 178° wide-view technology, it features an incredibly thin bezel along all four edges of the screen. This super-slim bezel is just 7.3mm wide at its narrowest point, providing a screen-to-body ratio of 83% — so you see more display and less frame. 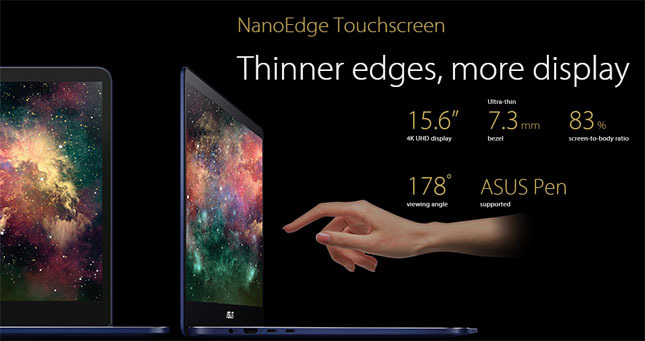 The projected capacitive touch technology of the NanoEdge display has 10-point multi-touch support, so you can use multi-finger gestures for totally intuitive navigation and control. 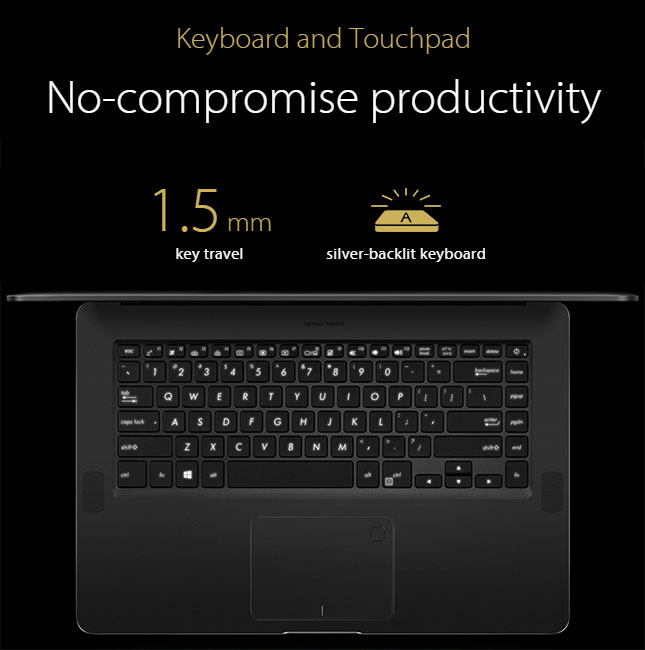 It also supports the ASUS Pen for ultra-precise sketching, writing or annotating. With an astonishing resolution of 3840 by 2160 pixels — 4x more than Full HD — the 4K UHD NanoEdge display is something to behold. We’ve engineered 282 pixels into every single inch of the screen to make sure that everything is pin-sharp — from the finest details in photos and videos to the tiniest text. 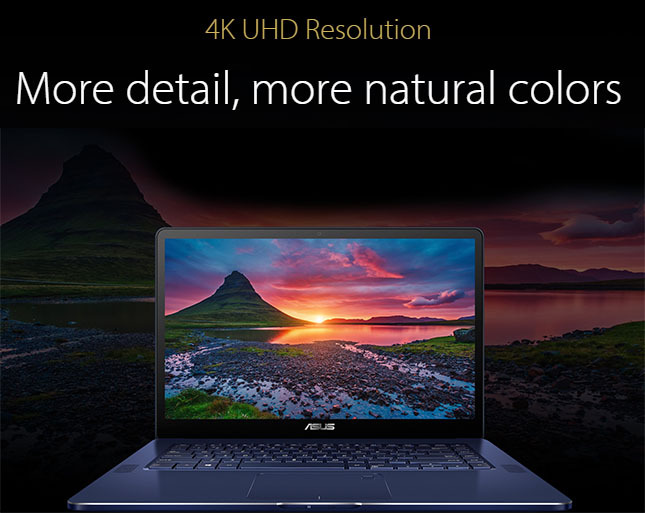 The ultra-wide 100% sRGB and 72% NTSC color gamut of the display produces incredibly natural-looking colors, and 178° wide-view technology ensures a perfect picture even at acute viewing angles.